The Brady BPROX26 is a 125 kHz PVC card, compatible with the HID1386LGGMN ISOProx II. Similar in size and thickness to traditional credit cards, the BPROX26 can be read by Proxpoint, ProxPro, MiniProx, MaxiProx, RP15, RP40, and RPK40 readers. - Chips used in manufacturing Brady cards are Genuine Atmel 5577, not clones like some inexpensive cards use. Made in the USA from imported parts. 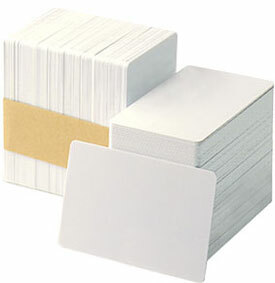 Equivalent to: XceedID™ 1386, Identive™ 1386, and RapidPROX™ ISOXT Proximity Cards. Minimum order 100 cards. Lead time to ship 3 business days. Product ships from San Diego, California.